Men's indigo blue stretch cotton Hyperflex™jeans, 11,5oz, with medium dark wash tone, hand-made whiskers and brushed with bleach togive strong and shiny contrasts on used areas. 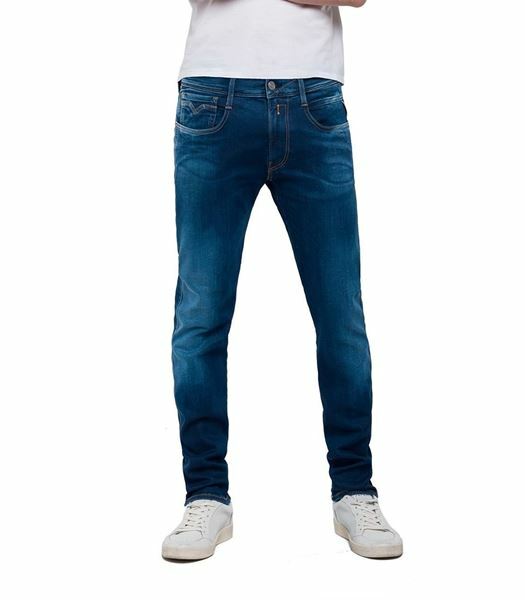 Slim fit with regular waist and softly tapered slim leg, zip fly, coin pocket with iconic gull stitching. The Hyperflex™ fabric, thanks to its innovative technology, give an authentic denim look with an extreme freedom of movement and absolute comfort.